Dudek Nucleon WRC Cabrio PL trike reflex wing Nucleon WRC Cabrio is a top drawer, modern PPGG canopy. It is very easy to launch, fast to fly, effective to steer and has wide speed range on trimmers. It will satisfy both pleasure pilots, looking for safe and comfortable sightseeing, as well as ambitious competitors or record hunters. Nucleon WRC is the essence of reflex profile in a new costume, applying Flexi Edge technology. Cabrio is stable and safe both at low and high speeds. It is sturdily built of the best materials available. 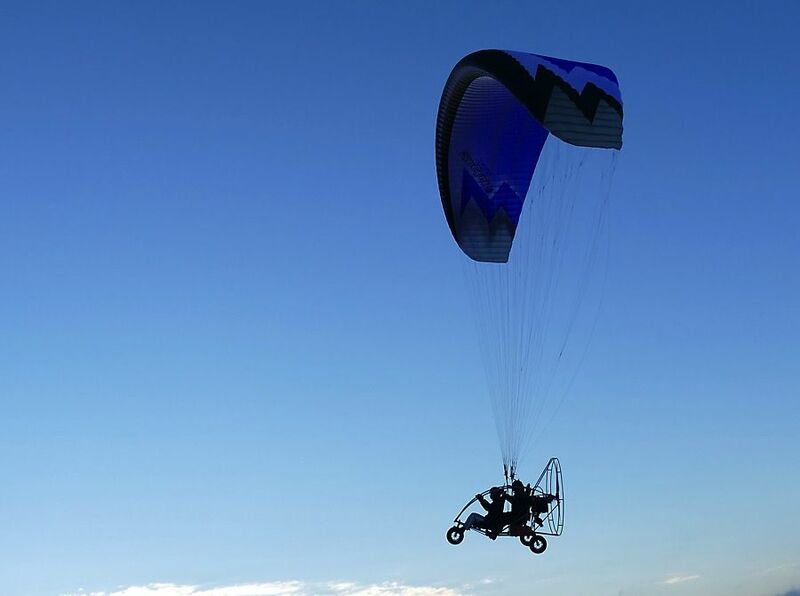 Slight changes in design as compared to traditional, non-stiffened Cabrio brought to the paralider increased agility. Smart connections between mylar reinforcements and synthetic rods (like in e.g. 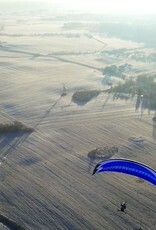 Hadron) result in easy inflation and stiffer leading edge. 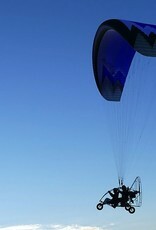 The paraglider launches easily and smoothly rises over your head. With good trimmers configuration and sufficient engine power lifting the A risers may be not necessary (canopy rises by itself) - a very important feature for trike pilots. Speed ranges of the trimmers have been slightly widened. Top speed was increased too. Another news is the ALC+ (improved ALC steering system) - it is more effective and balanced, so that steering appears to be smoother. Despite rather minor changes, Nucleon WRC Cabrio is not covered by the standard version certificates. 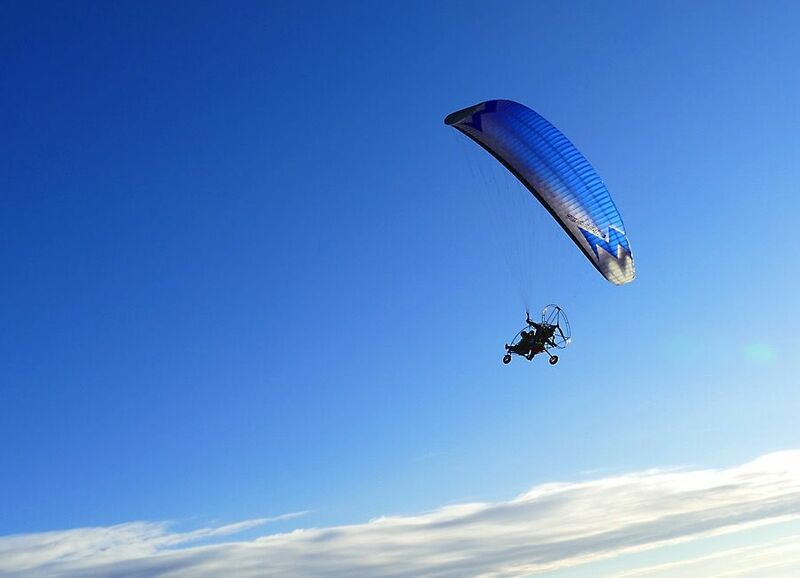 Therefore all pilots caring for flying certified paragliders should stay with original Cabrio, which will remain in regular, serial production. 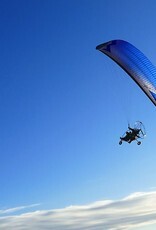 Nucleon WRC is an Action/Reaction class paragider, built around the idea of linear acceleration characteristics and limited reflex at slow trimmer settings. 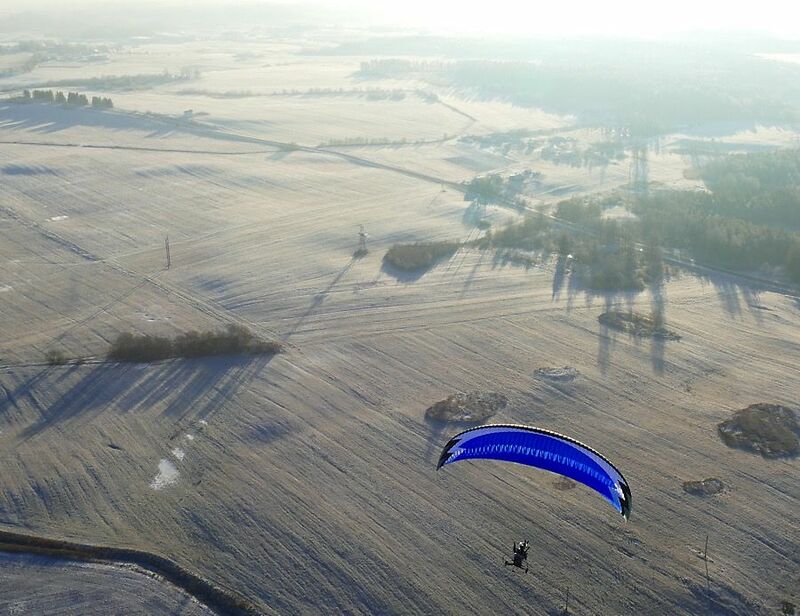 The result is a 100% reflex, solid and comfortable canopy of great performance, exceptionally safe in its class, with handling characteristic similar to classic profile paragliders (in low speed range). A light version of Nucleon WRC is available too. It was designed with tandem foot launches in mind and was named the Nucleon WRC Duo. It is virtually identical to Cabrio, the only difference being lighter cloth - Skytex 32 Evolution+. In result the inflation and launch is even easier, what is of special importance for foot-launched tandems. Duo's weight range: 170-240 kg. Note - light cloth is available in following colours only: white, grey, maroon, orange, blue. That's why colour schemes differ from the standard version - clear that out when placing your order.